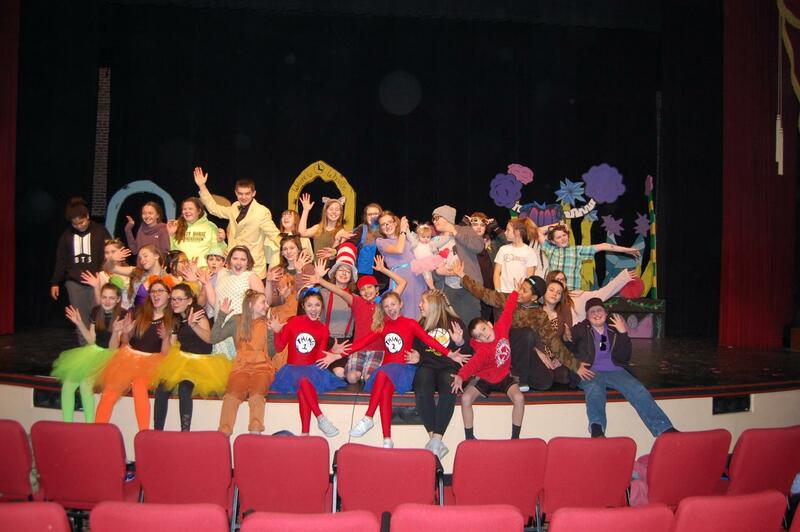 The cast and crew of Seussical Jr. Photo taken by Ms. Hastings. On March 1st and 2nd, numerous students from EMS performed in Seussical Jr., a musical that was featured in the Granada Theater. Mrs. Hastings was the teacher who orchestrated the practices and performance while creating a production with an interesting plot and giving students a great learning opportunity. Overall, Seussical Jr. was a great musical production that was made possible by those of our school. The impressive performance was a great experience, not only for the audience to enjoy as entertainment, but also for the actors and stage crew as they learn and grow in their interest in theater, music, and other skills that were presented on stage and behind the scenes of EMS’s Seussical Jr.